•	Three Indian expats from the UAE are amongst those who won the prestigious Pravasi Bharatiya Samman Award the highest honour conferred on Indian diaspora. •	President Ram Nath Kovind conferred the award on Girish Pant, Surender Singh Kandhari and Dr Zulekha Daud and other awardees at the Pravasi Bharatiya Divas (PBD) Convention in Varanasi . •	Girish Pant, a social worker has been instrumental in rescuing several Indian sailors stranded in UAE waters. He has also helped several other Indians in distress in coordination with the Indian Consulate in Dubai. •	Surender Singh Kandhari, chairman of the Gurudwara Guru Nanak Darbar Sikh Temple, is a philanthropist, businessman and a long-term Dubai resident. •	Dr Zulekha, founder and chairperson of Zulekha Healthcare Group, who came to the UAE in 1964, is believed to be the first female practising doctor in the country. •	Noted Gujarati poet Sitanshu Yashashchandra has been awarded Saraswati Samman,2017, for his poetry collection in Gujarati named “Vakhar”. •	This is the 27th edition of the prestigious award instituted by K.K.Birla foundation given every year to an outstanding work of an Indian citizen published during the last 10 years in any of the languages mentioned in Schedule 8 of the constitution. •	The award comprises of a citation and a plaque apart from award money of 15 lakh rupees. Noted film director and author Gulzar gave away the award at a solemn function at National museum auditorium in New Delhi this evening. 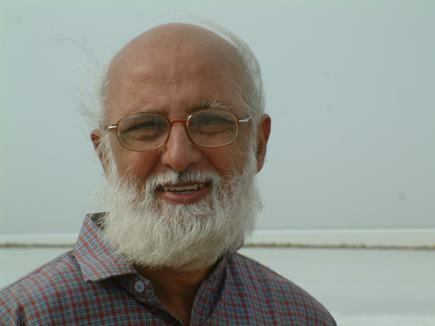 •	Mr. Yashashchandra, recipient of the Padmashri in 2006, is known for seamlessly blending history with poetry. He has explored politics of the times, the larger and more immediate human conditions in his award winning work "Vakhar". •	Receiving the award ,he said he felt honored and spoke at lengths about how regional languages are a thriving force in the Indian literary scenario. •	Gulzar, noted poet and lyricist , chief guest of the occasion reminisced of his long term association with Mr. Yashaschandra and how he looked upto him for inspiration. •	Besides the Saraswati Samman, the K.K.Birla foundation also gives away two other literary awards Vyas Samman and Bihari Puraskar besides G.D Birla Award for scientific research.